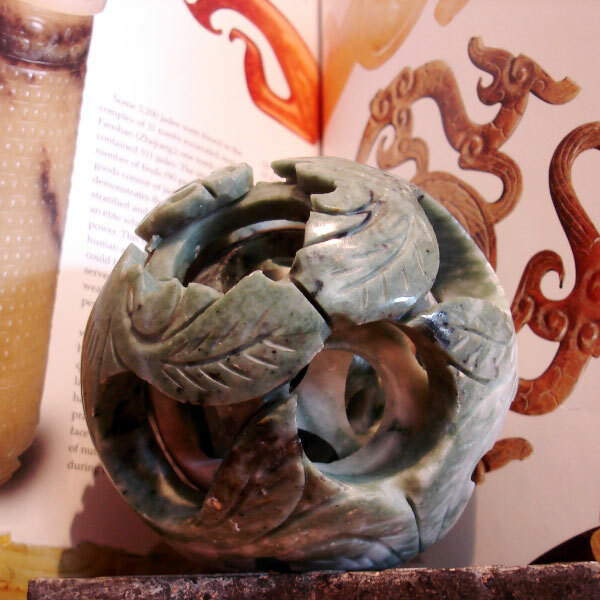 This intricate carving of internally carved balls symbolizes multigenerations of a family. The outer ring represents the parents as show by the dragon and phoenix motif, the second ring the children, the third ring the grandchildren and the last ring the great grandchildren. The inability to remove the rings symbolizes the unbreakable family bond.